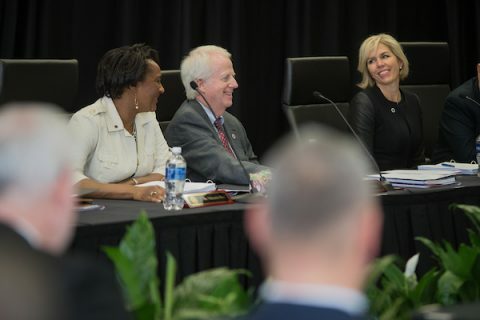 Clarksville, TN – During its June meeting, the Austin Peay State University (APSU) Board of Trustees approved six new graduate certificates, which will be offered through the APSU College of Graduate Studies this fall. Earlier this year, the University began offering graduate education programs, providing working professionals with the training and credentials they need to enhance and elevate their careers. Clarksville, TN – “Smokey Joe’s Cafe” at the Roxy Regional Theatre is powerful, stunning and a roaring good time. The Roxy has put together a great cast of outstanding vocalists to pay tribute to early rock songwriting superstars Jerry Leiber and Mike Stoller. The longest running musical revue in Broadway history, this Tony Award-nominated and Grammy Award-winning production pays tribute to over three dozen of the greatest songs ever recorded during the golden age of American culture. 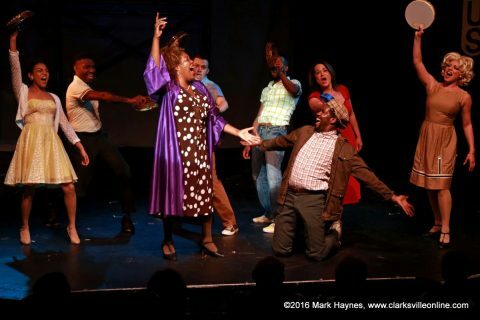 Clarksville, TN – “Fools fall in love” and you will, too, with the Roxy Regional Theatre’s buy-one-get-one-free admission for military (w/ ID), current APSU students (w/ ID) and CitySaver coupon holders to “Smokey Joe’s Cafe” this Thursday, July 28th at 7:00pm. 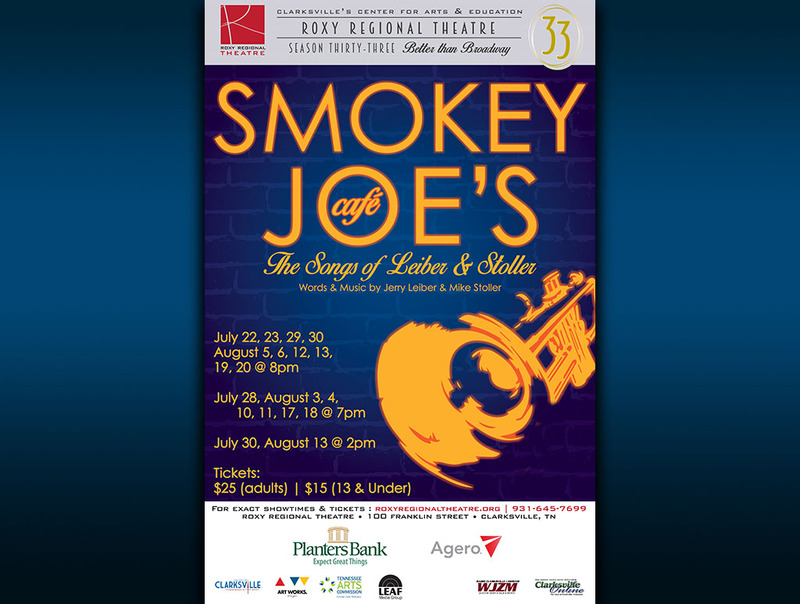 “Smokey Joe’s Cafe” at the Roxy Regional Theatre runs from now through August 20th. Clarksville, TN – The music that defined a generation, including such iconic songs from the 1950s and ’60s as “Hound Dog,” “Stand by Me,” “Yakety Yak,” “Jailhouse Rock,” “Spanish Harlem,” “On Broadway,” “Love Potion #9” and “Fools Fall in Love.” as penned by songwriters Jerry Leiber and Mike Stoller. This summer, the work of that legendary team will be celebrated in the Roxy Regional Theatre’s production of “Smokey Joe’s Cafe”, running July 22nd through August 20th. Clarksville, TN – Tonight, Friday, December 18th at 8:00pm and Saturday afternoon, December 19th at 2:00pm are the final two shows for the Roxy Regional Theatre’s performance of “A Christmas Carol”. 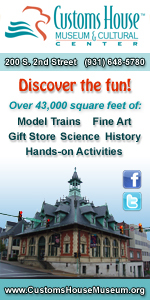 This is your last chance to see what has become a Christmas tradition in Clarksville. All good things must come to an end, and signature performances are no exception. 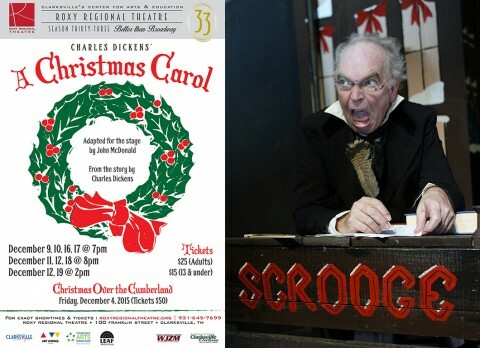 After nine years of delivering countless “Bah Humbugs” upon the Roxy Regional Theatre stage, John McDonald will hang up his hat as the miserly businessman Ebenezer Scrooge with this year’s production of Charles Dickens’ “A Christmas Carol”. 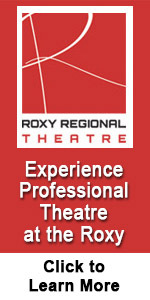 Clarksville’s Roxy Regional Theatre “A Christmas Carol” final two performances are tonight, Friday, December 18th at 8:00pm and Saturday afternoon, December 19th at 2:00pm. 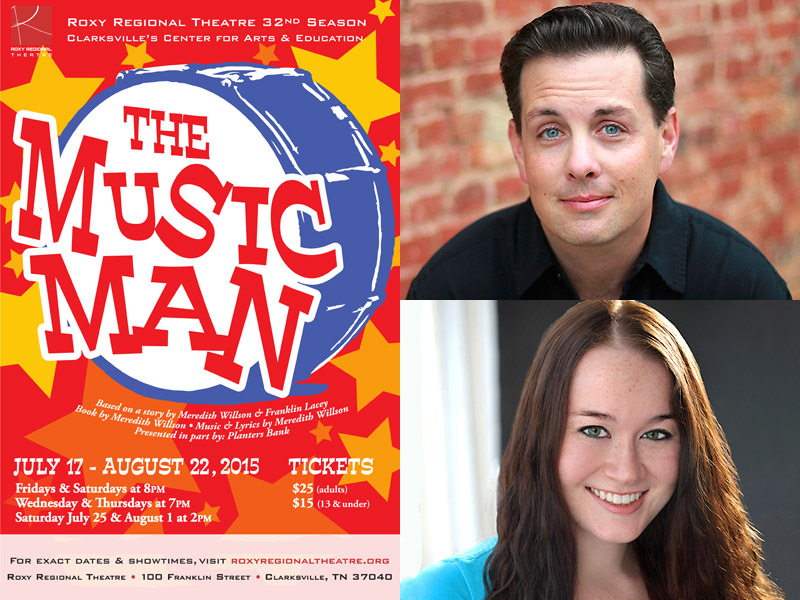 Clarksville, TN – All good things must come to an end, and signature performances are no exception. After nine years of delivering countless “Bah Humbugs” upon the Roxy Regional Theatre stage, John McDonald will hang up his hat as the miserly businessman Ebenezer Scrooge with this year’s production of Charles Dickens’ “A Christmas Carol”, opening December 9th. 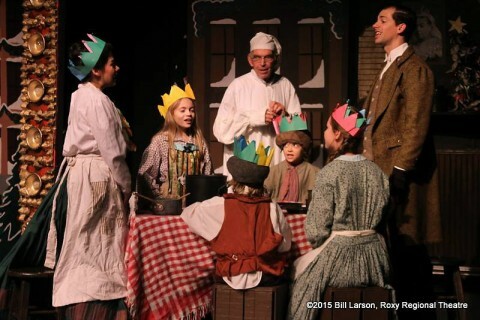 Under the direction of Tom Thayer, Dickens’ classic tale of Christmases Past, Present and Future meets such holiday standards as “Deck the Halls,” “God Rest Ye Merry Gentlemen,” “What Child Is This,” “I Saw Three Ships Come Sailing In” and more, performed to the music of acoustic instrumentalists Red River Breeze. Clarksville, TN – Lionel Bart’s “Oliver!”, a musical which has touched the hearts of millions, will provide an unforgettable opening to the Roxy Regional Theatre’s 33rd Season, beginning Friday, September 25th, at 8:00pm. 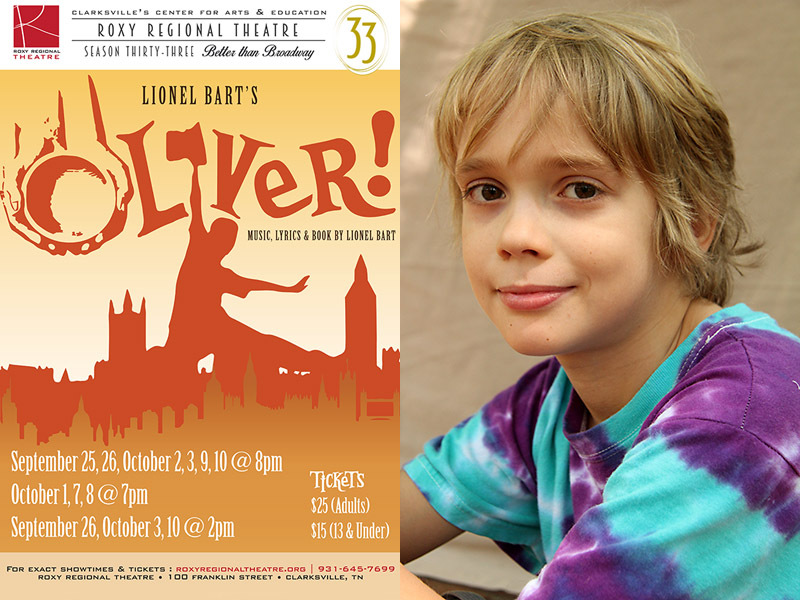 Directed and choreographed by Tom Thayer, “Oliver!” creates the perfect mix of comedy, song and dance in a show made for the entire family. 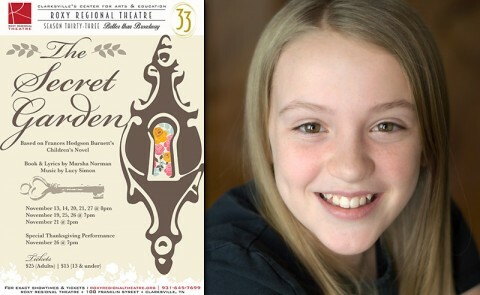 Vividly bringing to life Charles Dickens’ timeless characters with its ever-popular story of the boy who asked for more, this musical masterpiece chronicles the adventures of orphan Oliver Twist as he navigates London’s underworld of theft and violence in his search for a home, a family and — most importantly — love. 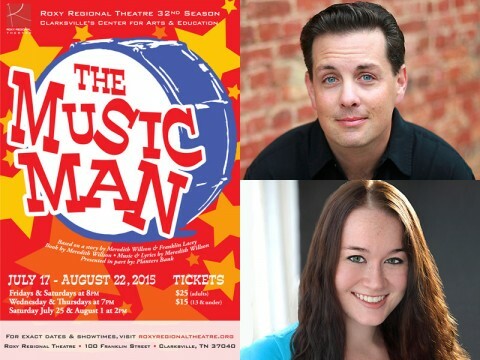 Clarksville, TN – Beat the heat and the summer doldrums with Meredith Willson’s great American musical classic “The Music Man”, opening at the Roxy Regional Theatre Friday, July 17th, at 8:00pm for our traditional pay-what-you-can preview. All tickets not pre-sold at the regular ticket price will go on sale at 7:30pm on Friday for whatever price you are able to pay ($5.00 minimum, please).